Elle Allison, Founder of Wisdom Out specializes in leadership development and organizational learning. Dr. Allison works with leaders, aspiring leaders, senior leadership teams, school teams and leadership coaches, to teach them the strategies, practices and tools they need to increase their organization’s capacity for sustainable change. Elle has been a teacher, principal, supervisor of school improvement, assistant superintendent, educational consultant and leadership coach. She earned her PhD. in Organizational Learning, from the University of New Mexico. She is a graduate of the National Staff Development’s Council’s Academy and is a member of the National Speaker’s Association. 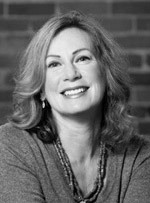 She is author of several books and articles on leadership renewal and resilience and on leadership coaching, including Flywheel, published by Corwin in 2013. Elle lives in the San Francisco Bay area with her husband Len and her 16 year old Vizsla dog named “Ole.’” For customized workshops, leadership academies and boot camps, and keynotes contact Elle at elle@wisdomout.com. To register for the Wisdom Out newsletter and monthly complimentary webinars, please visit www.WisdomOut.com.